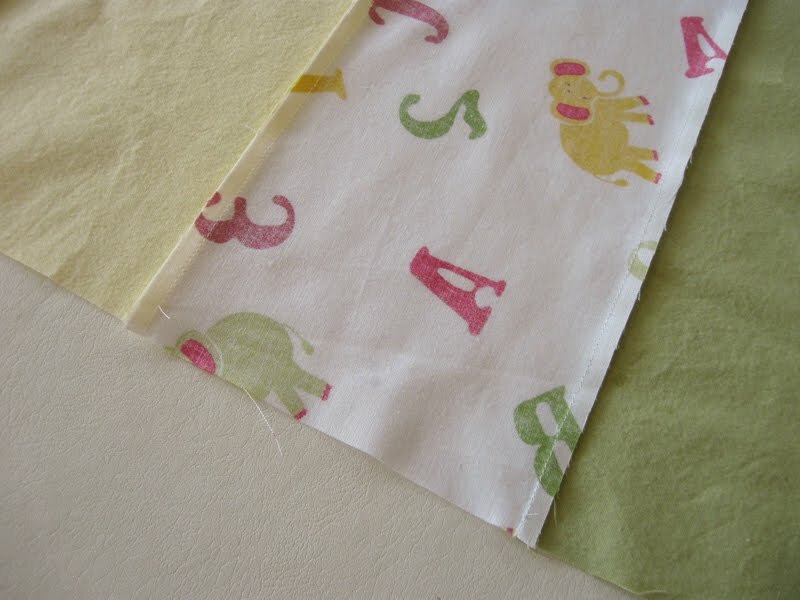 Today we welcome Kari, from Handmade Mommy. I love to read Kari's blog, we have a lot in common. 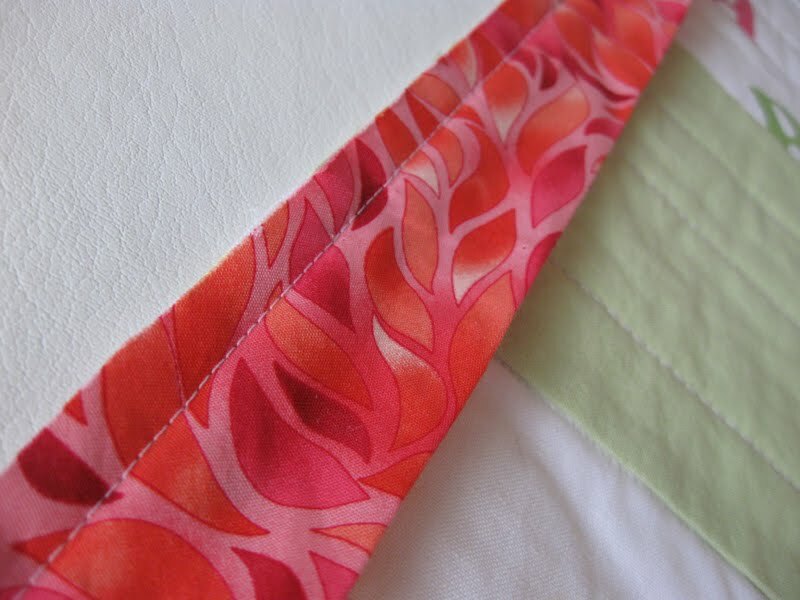 She shares the basics for a modern take on quilting. Thanks to Chris over at Pickup Some Creativity for asking me to be a part of her Sewing 101 Series! 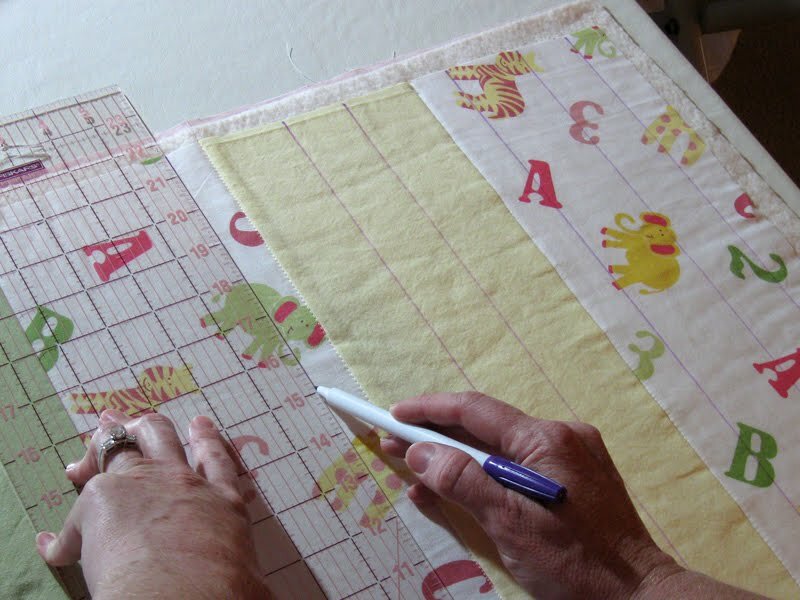 I've got the Basics of Quilting to get you started on your first quilt. 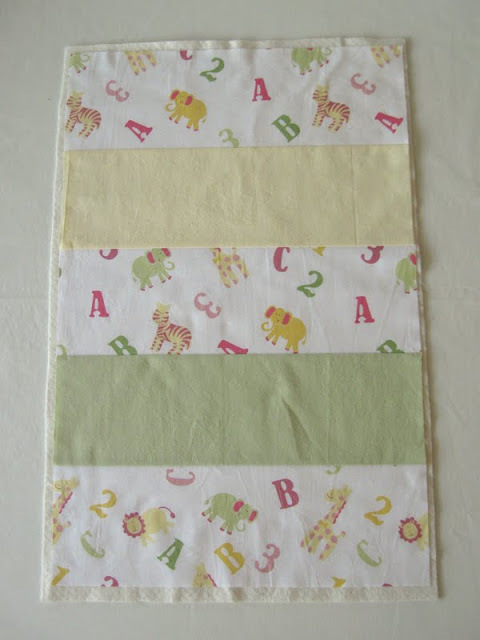 -a piece of batting or flannel measuring roughly 30" x 20"
Cut 5 strips of fabric, each measuring 18" x 6". You can cut across the width or along the length but not on the bias (diagonally) as it will stretch too much. 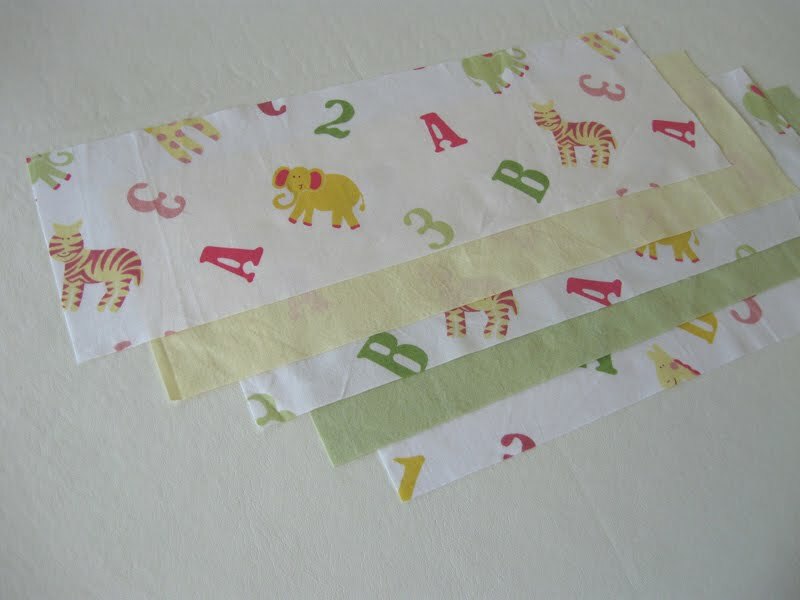 Pin the strips right sides together on the long sides, in the order you want them. 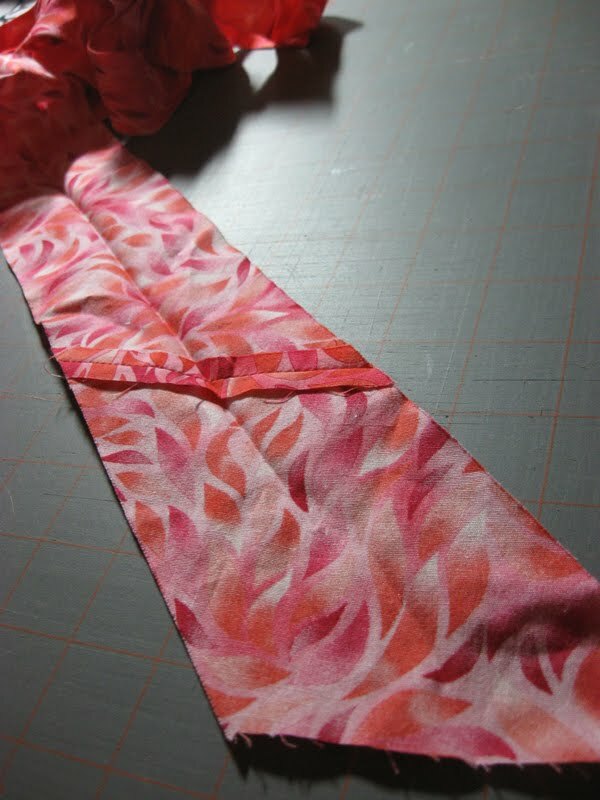 Press your seams to one side, toward the darker fabric like below. Now cut your middle layer (batting or flannel) a little bigger than your quilt top. 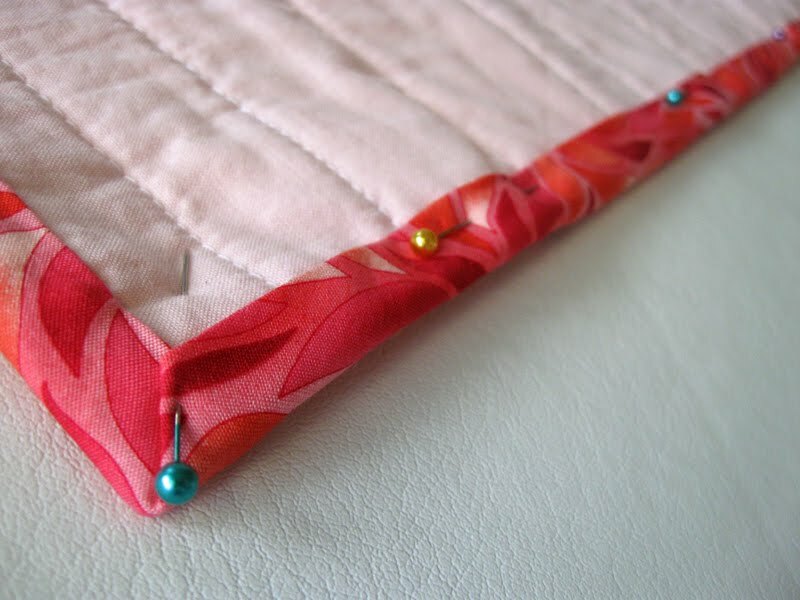 Cut your bottom layer (the quilt back) to match the batting. All three layers stacked together make your "quilt sandwich." Now you'll baste (read: stick together) your sandwich to keep the layers in place for sewing. 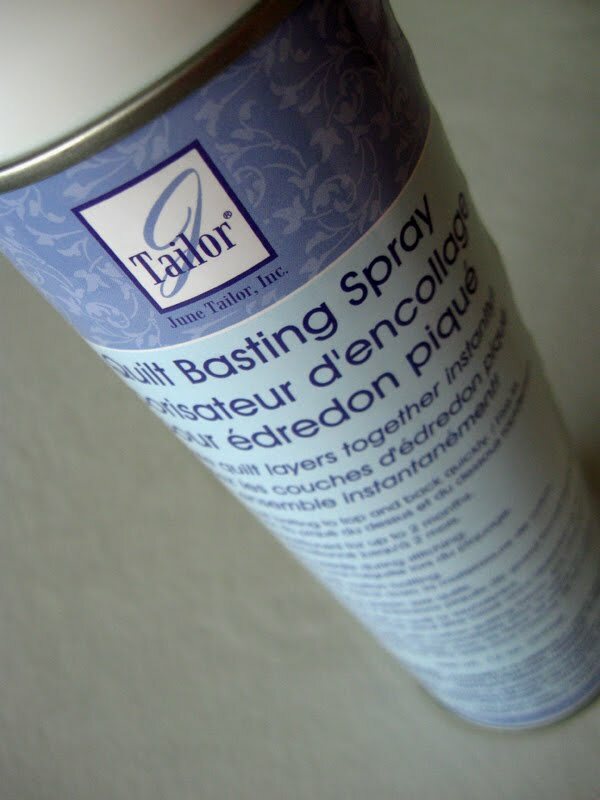 Some people pin baste beautifully but I use basting spray - quilting magic in a can. It's quick and easy on my hands. This is how I do mine, but written better. 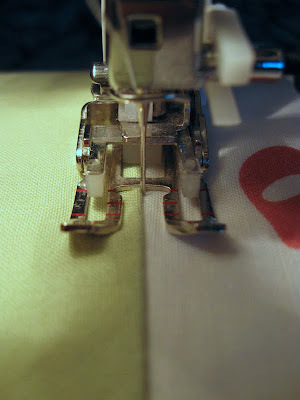 First, stitch in the ditch like so in the 4 seams joining your strips. Then mark and sew some more random lines to stabilize the three layers. Here are a couple ways I like to hold the quilt while it's on the machine. Just don't tug too hard or you'll break a needle. 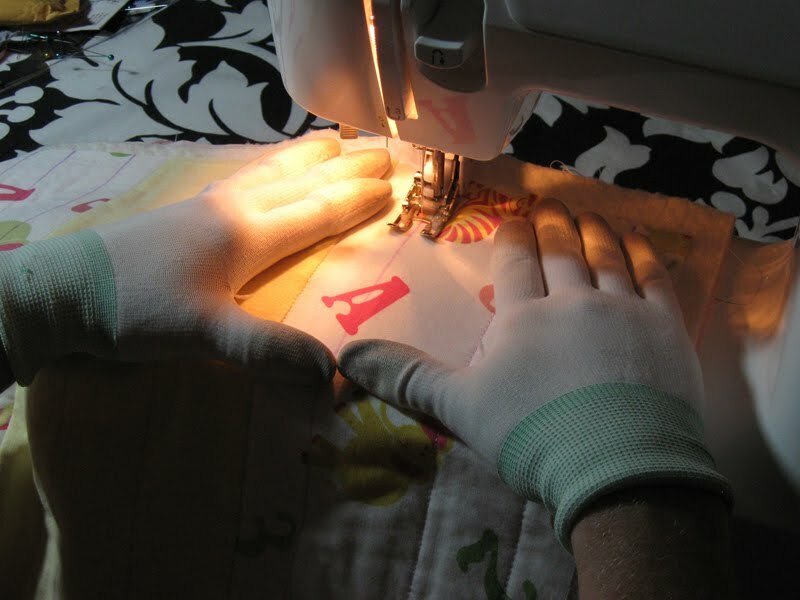 Oh, and the goofy gloves I'm wearing are quilting gloves and they are awesome. The fingertips are coated with rubber to help you grip the fabric. I use them on a lot of my projects, not just quilts. 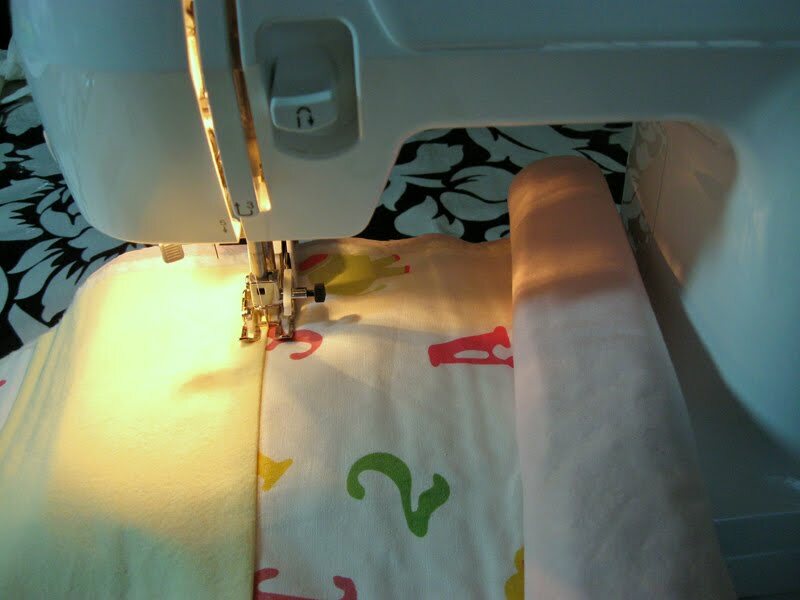 Wondering how to wrangle a quilt through your machine? Just roll up one side to fit it in the machine and adjust as you go. Trim your excess batting and backing. 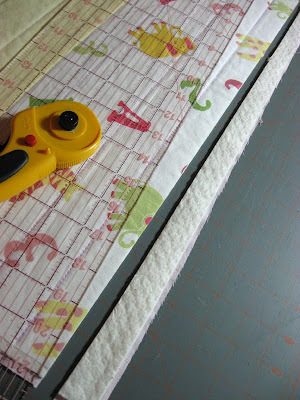 It's time to do your binding (to encase the raw edges). Don't be scared! You can either buy premade binding or make your own. I like to make my own using this amazing tutorial. And this tutorial is great for attaching your binding to the quilt. 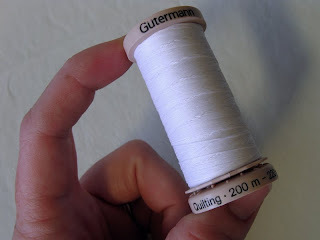 You can either handstitch or machine stitch it down, but I prefer handstitching with this coated cotton thread. Now you get to wash and dry it! 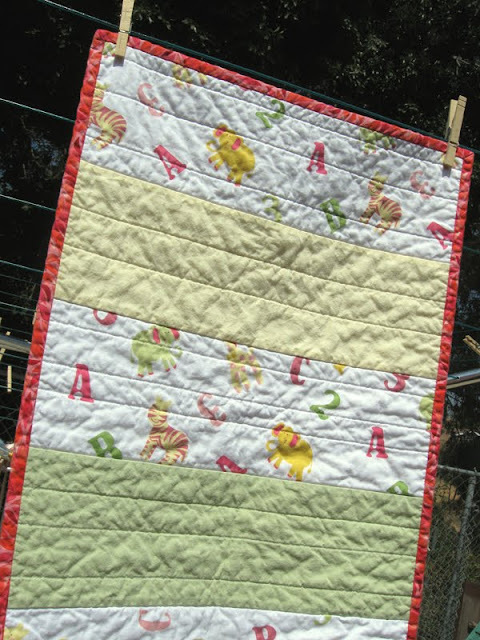 Have you ever wondered why quilters get all gaga over a freshly washed quilt? 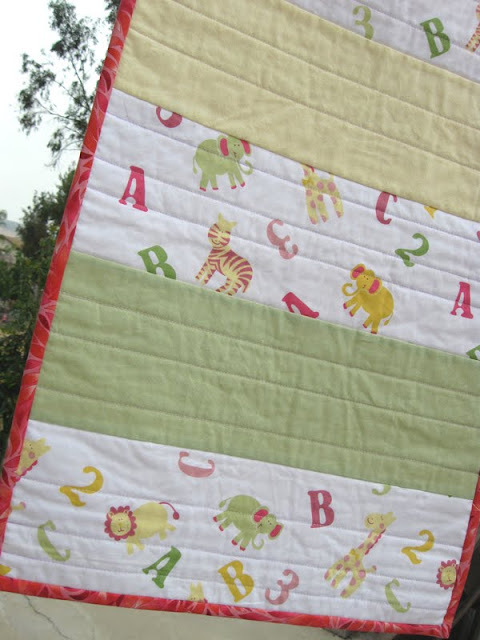 Your quilt would make a great gift as a wall hanging; customize it to a nursery color scheme or someone's interests and give it with a couple of hanging clips. And it's easy to change the design, add an applique, embroider a name, learn to piece blocks, etc. etc. Good luck with your first quilt! I'd love to see what you make. Chris here....thank you so much Kari. It wasn't too long, either! 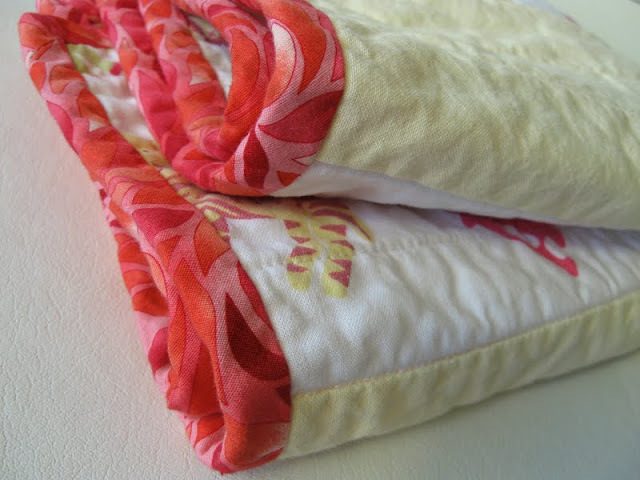 This really is a simple way to make a beautiful quilt. I hope you'll consider making one. 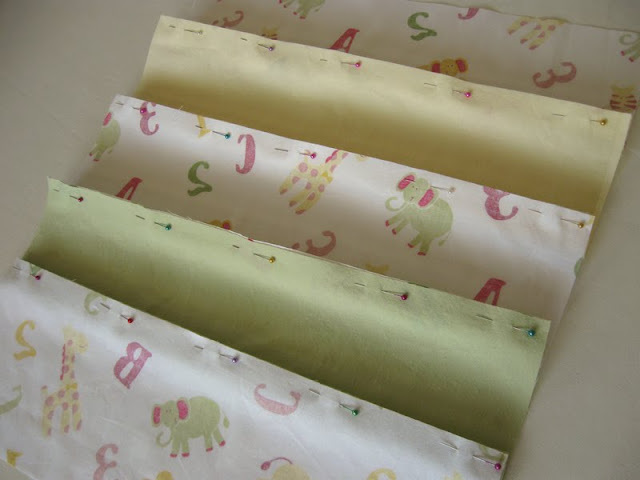 Check out Kari's blog for more fun ideas like these beautiful quilted canister sleeves and easy-peasy jammy pants. Thank you for this! It is just in time. I'm trying to make a simple quilt for a gift (what was I thinking) and I wanted quilt it myself. I feel silly asking, but do I need a walking foot? I have my grandmother's machine and I'm not sure where I would find one to fit it. Thank you again! Great basic tutorial. I wish I saw this three weeks ago when I made a quilt for the first time! Kim, your local sewing machine repair store is a great resource for parts that fit your machine. Just stop in with your grandmother's machine and they'll help you fit a walking foot. You'll love having one! Oh wow, this was the least overwhelming, "oh I get it now!" quilt tutorial I've ever seen. I might actually make this one! Thank you so much! Thank you guys! I'll go to the local singer repair shop. Oh! I love the long strips on material on the quilt. I am thinking of making a quilt for my daughters bed, and the long straight pieces will probably mean a lot less sewing for me! Oh how I wish I could sew. I still have my mom sew my clothes for me!!! I am visiting from NFF, I love your blog! I just came over from The Girl Creative and WOW! Love the quilt!! Sewing I love but I have never been able to get the quilting thing down. Great one! I love quilting. 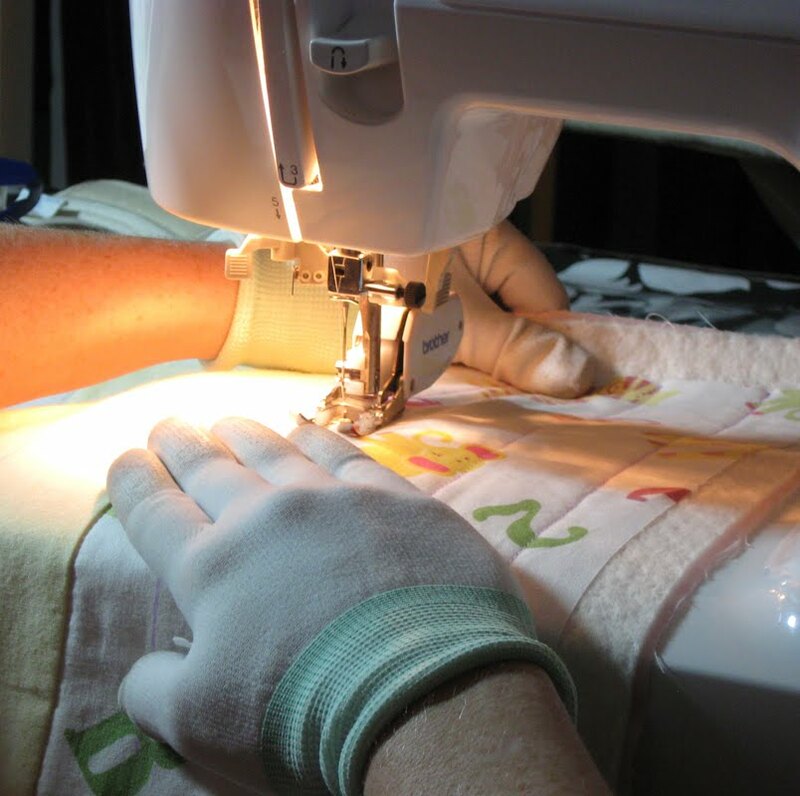 It's probably my favorite thing to do on my sewing machine. I love the gloves! It would help me out a ton!! First time I have visited your blog. Saw it on Trendy Treehouse. I love it. Thanks for sharing your great ideas.